Company culture is a hot topic among today’s leaders, and rightfully so. Because it influences how colleagues relate, or fail to relate, to each other, culture affects the effectiveness of teams and business units, ultimately influencing the bottom line. But company culture can be an intimidating topic for many leaders because they lack a framework and language to discuss the phenomenon they see happening in their organizations every day. The following terms can help you to better grasp what company culture is, how to influence it, and the type of culture dominant in your organization. When we discuss company culture, we are really discussing a social culture, meaning the norms for how members in a group relate to each other. 1. Culture of Control – In this type of culture, people with power, influence and status rule over others. It creates an environment where people fear to make mistakes and take risks. It is stifling – killing innovation before people are afraid to speak up. Employees may feel left out, micromanaged, unsafe, hyper-criticized, or helpless. 2. Culture of Indifference – In this type of culture, people are so busy chasing money, power, and status that they fail to invest the time necessary to develop healthy, supportive relationships. As a result, leaders don’t see value in the relational nature of work, and many people struggle with loneliness. Employees may feel like a cog in a machine, unimportant, uncertain, or invisible. 3. Connection Culture – In a connection culture, people care about others and care about their work because it benefits other human beings. They invest the time to develop healthy relationships and reach out to help others in need, rather than being indifferent to them. This bond helps overcome the differences that historically divided people, creating a sense of connection, community, and unity that is inclusive and energized, and spurs productivity and innovation. As evidenced by the descriptions, the third type of social culture listed above is most likely to result in long-term success for both individual employees and the company as a whole. 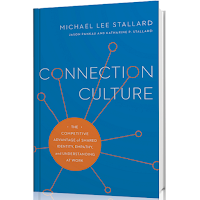 So how can you foster a healthy, connected culture? It’s important to note that connection cultures do not all “look” the same. Each company will have its own unique practices and traditions. Having a foosball table in your break room, a casual dress policy or a “flat” corporate structure are not requirements. 1. Vision – A great company culture has a strong sense of purpose. Why do your employees show up every day? Do they understand the end goal of their work? 2. Value – Great company cultures also value people for who they are, not simply for what they do. Build meaningful relationships with your employees, and give them opportunities to build relationships with each other. 3. Voice – Giving people a voice, although not necessarily a vote, in decisions creates a healthy dialogue and allows important insights to flow up and down the chain of command. By strengthening vision, value, and voice in your organization, you will help your employees build stronger connections and create an environment where people and ideas thrive. To get started, take this nine-question culture quiz to gauge what type of social culture is dominant in your organization today. 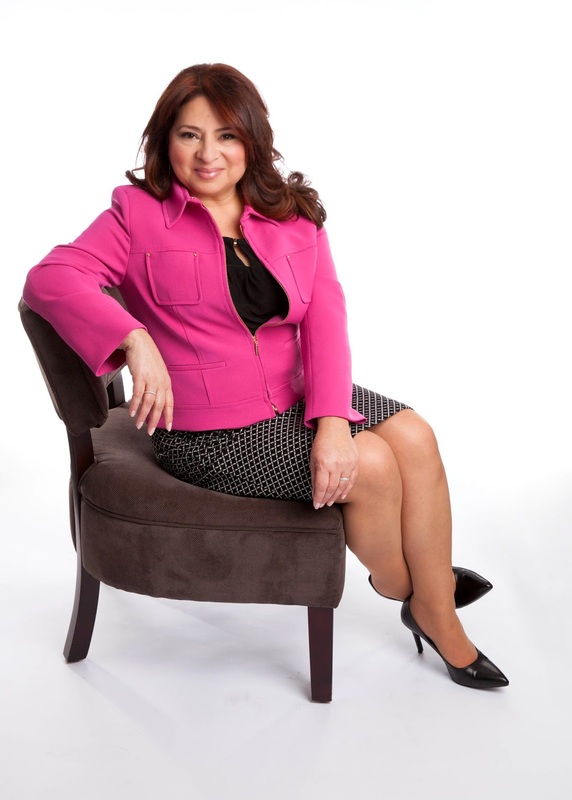 ConnectionCulture.com, speaks, teaches and coaches on leadership, organizational culture and employee engagement. He is the author of Connection Culture and Fired Up or Burned Out. Follow him on his blog, Twitter, Facebook, Google+ or LinkedIn. Most managers have good intentions when it comes to developing our employees, but good intentions often fall by the wayside. An individual development plan (IDP) is a great way to turn good intentions into specific, written plans and a two-way commitment between you and your employee! 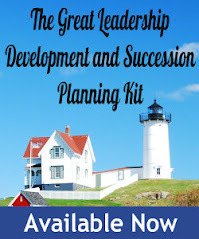 Read my latest post over at About.com Management and Leadership to find out how to prepare and have an individual development discussion with your employee. Most of us have good intentions when it comes to improving ourselves, but good intentions often fall by the wayside. An individual development plan (IDP) is a great way to turn good intentions into specific, written plans and a two-way commitment between you and your manager! Read my latest article over at About.com Management and Leadership to find out how to prepare your own IDP and discuss it with your manager. Leading a team or staff of one is not an easy task. Providing guidelines, policies, and sometimes frequent reminders is helpful. But the most powerful tool of all is setting an example. Sure, commands, instilling fear of being fired, and “because I said so” might get the job done for a while or in the immediate—but, in the long-term, you’ll never gain your staff’s respect, you’ll lose valuable employees, and never be invited to lunch. What can you do to earn or regain your staff’s respect? I’m glad you asked. 1. Get to work on time. That is, if you expect your staff to do the same. And if you do stroll in late, apologize to them and get to work. · If you will be late, let them know in advance. It’s just respectful. This allows them to tackle other tasks while waiting for your approval on pending tasks. · Call if you are unexpectedly detained. With the dawn of cell phones, this is a practical and proven method of communicating. 2. Ease up on taking a lot of extra perks. It’s a quick way to lose your staff’s respect and create resentment. Enjoying well-earned perks is a perk, however, when your enjoyment of said perks infiltrates your day to day tasks, your staff will take notice. · Your position will no doubt allow you to take a few liberties, like a longer lunch now and then, working from home, or enjoying a bigger office. Don’t get caught taking advantage of or boasting about it. Don’t worry, they notice. · Don’t hide it; that will only create needless attention to the relationship. · Don’t hold special private meetings in your office. It can easily lead to and be construed as conflict of interest and/or bring about doubt in confidentiality boundaries. · Don’t use the relationship for personal gain. Expecting a bigger raise or approved time-off can quickly turn a friendship into a law suit. And, if that friendship happens to turn romantic, you’ve now entered into treacherous grounds. In fact, before proceeding, check with the policies and procedures manual you signed. · Don’t discuss your off-the-clock activities during on-the-clock hours. Apply common sense. Coworkers may begin to distance themselves from your “friend,” hence, bringing about tension among your staff, possibly leading to gossip which can lead to lack of productivity. Not a good thing. 4. Communicate professionally. After all, you set the standard of civility for the entire office. · Don’t allow anger to get the best of you. Everyone experiences frustration which can lead to anger; find a way to control it. If you don’t, after a while your staff will become apathetic to your outbursts and/or find you amusing by comparing you to their three year old child’s tantrums. Don’t use curse words. If one should slip out, apologize to those around you. · Don’t berate or point out a staff member’s mistake in front of others. Oh, you don’t have a private office with a door? Take a walk to the conference room. Ask the employee to stay after work for a few minutes. Take him/her out to lunch to discuss the problem. Find a way to maintain that person’s privacy and dignity. · Don’t forget to say “please” and “thank you.” Without saying “please” it becomes a command instead of a request. “Thank you” expresses your gratitude. By the way, individually, these phrases take one-second to say; I timed it. 5. Take responsibility for your mistakes. This includes your staff’s, as well. · Don’t hesitate to apologize. For some it takes courage to admit they are wrong. A sincere apology not only sets things straight, but earns the respect of others. · Don’t overreact, make excuses, or lie. Um, how will this help the situation and your reputation? · Graciously accept the consequences and fix it. Try a more positive and productive approach by exemplifying a “how do we fix it” attitude. 6. Share the glory. Could you have succeeded without your staff? · Acknowledge them privately and publicly. No need to buy balloons and tiaras, but a sincere and brief statement of gratitude is always welcome. · Show your appreciation, at least occasionally. Depending on the company’s policy and your budget, consider bringing in coffee/tea, taking your staff out to lunch, giving a gift card, approving an hour off, or offering a compliment. A title may warrant authority and respect, but it’s not necessarily genuine; respect is earned through consistent words and actions that exemplify leadership. Written and submitted by: Rosalinda Randall, Civility Consultant, author of "Don't Burp in the Boardroom. Handling Uncommonly Common Workplace Dilemmas." Woo hoo, post # 1000! 1000 posts and 8 years are big numbers, especially in blogging, where the average blog life expectancy is about the same as a flea. First post: Welcome to Great Leadership!, published on 10/28/2007. This was actually my second attempt at a blog. My first was called “How to Buy a Used Car”. After my first post, I realized I had nothing else to write about, so I had to pick another topic. Why I started blogging? To share what I know, to expand my ability to influence the development of leaders, for my own learning and development, and to make a little extra income. Why I keep blogging? Same reasons. Plus, it’s allowed me to meet all kinds of awesome people (way too many to mention, as I’m afraid I’ll leave someone out), establish a personal brand, launch an eBook, start my own business, and led to all kinds of other cool opportunities. Total page views: should be about 9 million by the time this is published. Most popular post: How to Write a Great Individual Development Plan (IDP). Dumbest mistake: Criticizing a big company after reading something in the news without having all the facts. I was still finding “my voice” and decided to try out controversial. Lesson learned: There are always two sides to every story. Keep my opinions to myself and stick to writing practical “how to” advice about leadership. I’m not a journalist and can’t afford the legal fees that come with ticking people off. My most personal post: All Dogs Go To Heaven. What’s next? I’m not sure, but I hope to keep doing this as long as I can. Social media platforms seem to come and go, and I do try to keep up, but I don’t have the time of interest to chase every new fad. Fortunately, I picked a topic that isn’t going away anytime soon, and I still can come up with new things to write about, so I guess it’s onward to the next 1000 posts! Thanks for reading Great Leadership, I really do appreciate it! Smells Like Team Spirit: How To Foster Team Culture In A Virtual Work Environment. All organizations worry about leadership, from the mom and pop community businesses to the giant global entities both domestic and international. There is still a propensity to use the word manager verses leader which can have a significant different intend and meaning. Managers tend to govern over process, data, projects and products while leaders tend to utilize human capital to navigate these same areas and participate as part of the process. Good leadership is defined as proper training, rewarding, assisting, coaching and respecting those who “carry the load”. The focus of leaders is on utilizing people as a company’s most important product, to establish missions, strategies and goals for the organization. Studies have shown that, without a doubt, a majority of new entrants leave their employers first because of ineffective leadership and secondarily for new more suitable employment opportunities. Good leadership begins with identifying key resources with competencies that meets the demands of a business’s vision and strategy. Connecting with these new resources is paramount to successfully leading and earning the trust and respect of these key company assets. Many leaders fail to engage their resources because they don’t know how and literally don’t have the tools to do so. Baby Boomer leaders are trying to engage Millennials who are more strategic, more technically savvy and more impatient than any generation before them. Many Boomers are frightened by social media like Twitter, LinkedIn and Facebook which are beginning to invade companies in such a way that is paralyzing to the harmony of the team that is led, in many cases, by the “type writer generation”. These young eager beavers will only be patent with these, “less than impressive leaders”, for a short period of time then, without warning, will bolt to companies that offer them the challenges, diversity, involvement, and opportunity that they seek. Can the generation gap be bridged before the boomers leave the workplace in significant numbers? Will upper management (Boomers/X’ers) see the value in including the Millennials is the long range planning process? After all, they will have to live with the decisions that are made without their input. Engaging all of the generations within a culture is of utmost importance. Because of the economy and the fact that 401k plans are yet to rise to the level that they had attained pre -recession, the Boomers and the Traditionalist (small numbers) are still delaying their exit dates. Engagement is defined as an encounter, conflict, or battle. That explains a lot. When a leader encounters his/her resources, their success is predicated on the approach that is used. Is it inclusive? Does it allow for differing opinions? Is devil’s advocacy allowed? Is there leading by example? These are but a few elements that can cause the “conflict” or “the battle” aspect of the definition to takes center stage. The element of engagement’s having the most significance is “trust”. Without it, the efforts to successfully connect are simply an exercise in futility. A group that lacks trust for their leader will experience high attrition, increased tension, low productivity and low morale. Companies tend to go through a litany of buzz words from holistic approach, strategic, at the end of the day, milestone, empowerment and executive presence. Many of these words are used to control, discriminate, separate, and suffocate those who are not in management’s favor or considered having less upward mobility. These same companies tends to use label like hi potential, key to retain, top talent and other terms which on the surface, motivates those given the titles while others who are equally as important to the organization are left to ponder their value. Labels tends to establish “sub cultures” or the “haves verses the have not’s”. A solution would be to force leaders to differentiate based on performance accompanied by constant and current feedback and differentiated reward systems instead of labels. Companies also use rating systems to reward and recognize performance and tuck these systems under the guides of pay for performance. In reality, they are not true pay for performance systems because there are limits to the percentage of people who fit in each category. A true pay for performance systems is a differentiating system that is driven by Individual performance instead of by percentages. It forces leaders to rank employees base on value, performance and teaming as they consider the budgets made available to them. Finally, companies that truly understand the difficulties that the generation gap presents, values the importance of trust among those on the team, and seeks help in engaging the new more technically competent workforce, will emerge as leaders of the pack and succeed at retaining the dwindling resource pool of technological cyber soldiers within its ranks. Ted Bagley received his bachelor’s degree in business from Franklin University in Columbus, Ohio, and his master’s degree in psychological and educational counseling from North Carolina Central University. He is the vice president of global human resources operations for Amgen Biotechnical Corporation, the world’s largest biotechnical company. Bagley resides in Simi Valley, California, with his wife and four children. 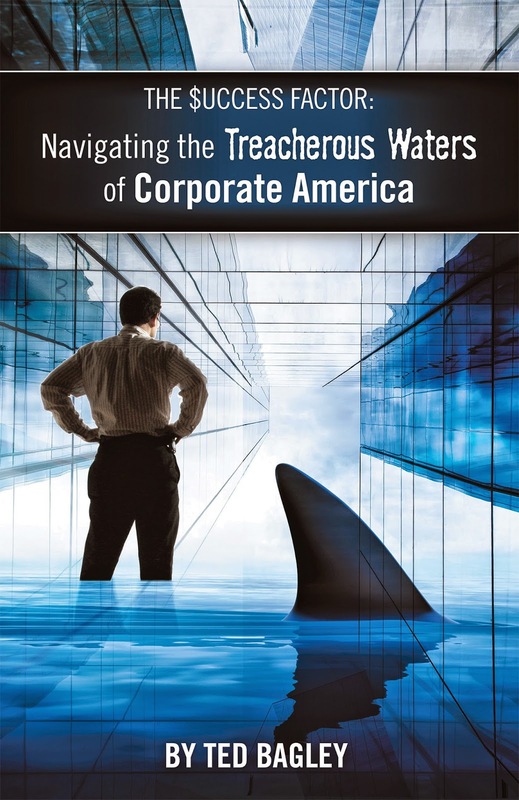 “The Success Factor: Navigating the Treacherous Waters of Corporate America” is his third book and is available for purchase on Amazon. I often hear managers blame “the company” for not allowing employees to be innovative. While that may be true to some extent, it frustrates me that these managers don’t seem to understand that in the eyes of their employees, they are they company. Regardless of what kind of company you may work in, there is plenty a leader can do to create an environment where employees are encouraged to be innovative. Read my latest post over at About.com Management and Leadership for 11 Ways for Leaders to Encourage Innovation from Their Employees. When making the transition from individual contributor to manager, some very subtle and not so subtle things start to happen. Weird things. Read my latest post over at About.com Management and Leadership to find out what can happen. When faced with open positions and under pressure to hire, or tolerating a poor performer because of a freeze on hiring replacements, I’ve heard many managers say “well, a warm body is better than nobody”. I would beg to differ. In most cases, a “warm body” (or bad hire) is far worse than leaving a position vacant until you can find a great hire or firing a poor performer even though the person cannot be replaced. What are the costs of a single bad hire? Read my latest post over at About.com Management and Leadership to find out!